Turkish President Recep Tayyip Erdogan called on the US authorities to reconsider the attitude towards Ankara, threatening to reverse the search for new allies. This is stated in the column of the Turkish leader for the American newspaper The New York Times. In his column, Erdogan notes that Turkey and the United States for about 60 years are "strategic partners and NATO allies." According to Erdogan, the United States can not understand and respect the concerns of the Turkish people. "Washington, while it is not too late, must abandon the false idea that our relations may be asymmetrical and reconcile with the fact that Turkey has alternatives. If Washington does not abandon a one-sided and disparaging course, Turkey will seek new friends and allies, "said Turkey's leader. According to the author of the article, if "the United States will not respect the sovereignty of Turkey and do not prove that they understand the threats facing the Turkish people, then the union of the two countries will be in danger." Erdogan said that "Washington's one-sided steps towards Turkey would only harm US interests and security." 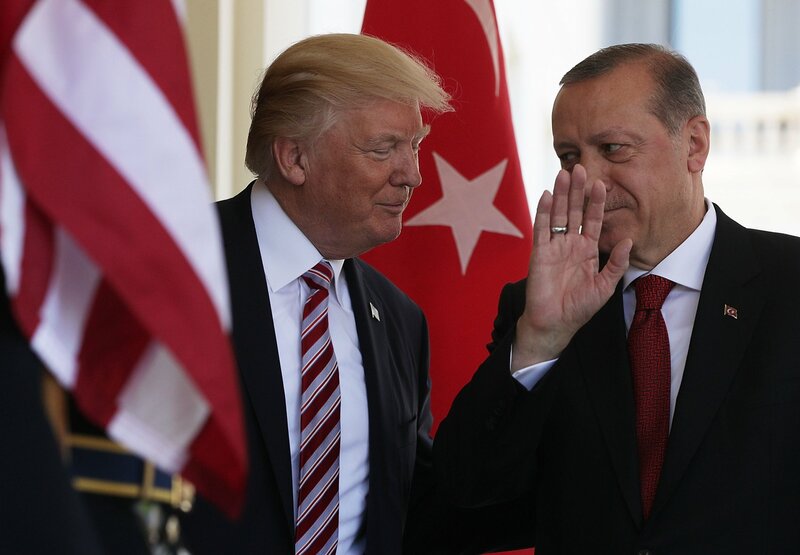 Earlier, US leader Donald Trump announced that the United States will cut tariffs on Turkish steel and aluminum against the backdrop of worsening diplomatic relations with Ankara. Earlier, the US Treasury Department imposed sanctions on two Turkish ministers because of their involvement in the persecution of American pastor Andrew Branson, detained in 2016. Turkish President Recep Tayyip Erdogan said Turkey would not change its position on the arrest of an American pastor. US President Donald Trump said the United States would impose "big sanctions" against Turkey because of the holding of Ankara by American pastor Andrew Branson, accused of terrorism and espionage. Branson has been working in Turkey for more than 20 years. He was detained in 2016 and accused of terrorism and espionage. Ankara claims that Branson allegedly assisted the groups that were behind the organization of the military coup in Truvia in July 2016. On July 25, 2018, Branson was taken under house arrest. US Secretary of State Mike Pompeo said that Turkey should release him and release him to his homeland. A change in attitude from Murdoch and SKY? How To change who is online text?